I have worked for many years with the Angelic Realm through readings, healings and private meditations. 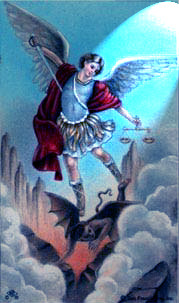 For your Angel Reading, I will first connect with the Angelic Realm in meditation, and then connect with your personal Guardian Angels, to receive the guidance that they have for you. I sit in meditation with your Angels, ask your question and also ask for the message They want to bring you. I then simply allow the Angels to work through me, writing down Their message as I receive it. In choosing the question you would like to ask, please keep in mind that the Angels are with us to provide guidance, love and support. Therefore, They can best answer questions that involve clarifying a situation or giving you the guidance that you most need at the time of your reading. The Angels do not prefer to answer questions such as: (1) Is (name) cheating on me? (2) What were my past lives? (3) Will I get a raise? (4) Is (name) my soulmate? (5) What can I do to make more money? These types of questions are better answered by either a Tarot Reading or a Psychic Reading. What is happening with my (love or personal) relationship with (name)? What should I be concentrating on now? What can I do to enhance my life experience at this time? Is this step (describe situation) a good idea? What do the Angels have to tell me about (describe situation)? from previous clients, just click here. Simply click on the "Buy Now" button below. You will be taken to the PayPal site where you can make safe and secure payment by credit card. Once your payment has been processed, you will receive a confirmation e-mail. You will be asked to respond with your specific information the question you would like to ask. You will then receive your Angel Reading by email, within 7-10 days, depending on the number of readings scheduled before yours. ANGEL READINGS ARE NOT AVAILABLE AT THIS TIME, DUE TO THE AMOUNT OF PSYCHIC READINGS BEING ORDERED. PLEASE CHECK BACK AGAIN OR CONSIDER A PSYCHIC READING. Thank you for choosing me for your Angel Reading!